Gibson are one of the two long-standing giants of the guitar industry. 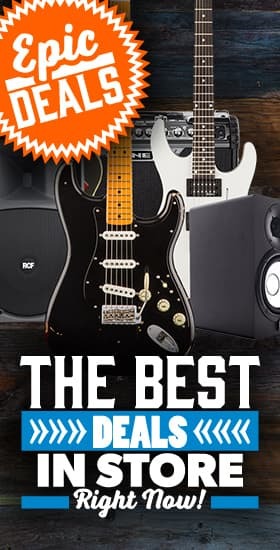 They represent both the history and the future of guitar-building, with their electric and acoustic instruments seen not only in the hands of countless rock legends & future stars. With a huge amount of high-profile users, Gibson has built an outstanding reputation for their craftsmanship and prestige. Some of their renowned players include Slash (Guns ‘N’ Roses), Jimmy Page (Led Zeppelin), Tony Iommi (Black Sabbath) and Angus Young (AC/DC). 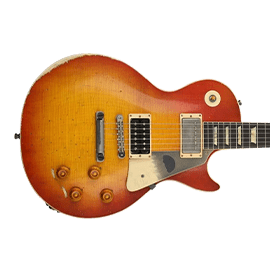 Gibson has a rich history, and since the company’s early inception in 1902 they have produced a wide range of guitar designs that have gone on to become classics. 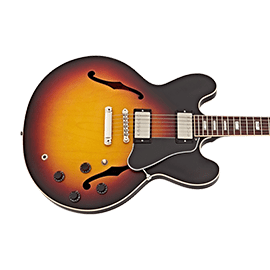 Their first major breakthrough in electric guitar design came in 1935 with the Gibson ‘Electric Spanish’, now affectionately known as the ES series. 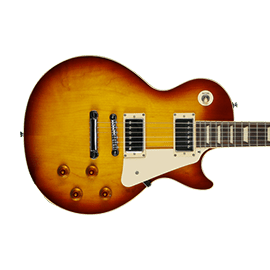 Apart from the Les Paul and ES models, Gibson continued to innovate by releasing a number of other distinguishable electric guitar designs in the following years. 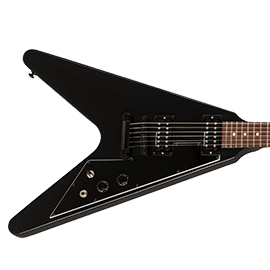 The most noteworthy of these includes the Flying V, Explorer, SG and Firebird models, which still remain in their catalogue decades later. These models continue to be updated and developed for a modern audience, yet still maintain the heart and soul of the early releases. 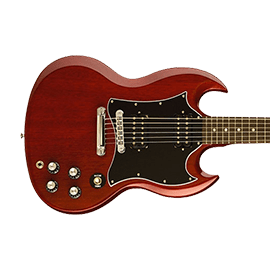 Throughout the years, Gibson have also stayed close to their roots by making a range of high-quality acoustic and electro- acoustic guitars, including the popular J-45 and Hummingbird models. 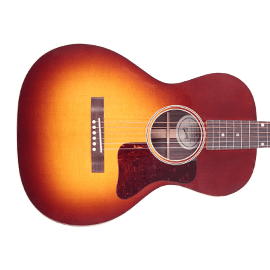 Gibson acoustic guitars have been seen in the hands of iconic acts over the years, including the Everly Brothers and more recently Jerry Cantrell (Alice in Chains). With their designs often copied and acting as the foundation for many subsequent brand’s models, this is a testament to Gibson's wide appeal, spanning many generations and continuing to inspire. Gibson have acquired a number of companies over the years. The most notable of these is Epiphone, who produce affordable versions of Gibson guitars. They are the only company who can manufacture officially-licensed Gibson designs, making them very popular. Gibson’s range starts at the no-frills Fusion and Studio guitars, 100% made in the USA despite their low prices. The mid-tier Standard line includes their flagship Les Paul model, with the top-end of their catalogue produced in their Custom Shop. The company also produces electric basses, many deriving from their guitar shapes. To find more about the Gibson 2019 range, click here - in the meantime, you'll find our full selection below!